Easing Visa regulations for China and India – two of the world’s fastest growing outbound tourism markets – presents huge growth opportunities for SA Tourism, Derek Hanekom, Minister of Tourism, said on the sidelines of the BRICS Summit in Sandton on Thursday, 25 July. Speaking to Traveller24, Hanekom hailed news of a high-level agreement struck between President Cyril Ramaphosa and Chinese President, Xi Jinping, on Tuesday aimed at easing restrictive Visa regulations between the two countries. He also expressed confidence that similar tight Visa rules with India would also be addressed, as Indian Prime Minister, Narendra Modi, is also in town for the influential BRICS Summit. “We see huge potential tourism growth between BRICS nations, especially with China and India considering their population size and economic growth. In fact, China has surpassed the United States as the world’s biggest outbound tourism source market, with about 130 million Chinese travelers globally. India is also growing fast with the UN World Tourism Organisation predicting that by 2020 there will be 50 million outbound Indian tourists,” said Minister Hanekom. Hanekom said tourist arrivals from Brazil and Russia grew significantly in 2017, despite last year “not being a great year for tourism in the country”, due to the negative impact of the drought in Cape Town and restrictions related to unabridged birth certificates for children travelling to South Africa. The minister said tourist arrivals to South Africa from Brazil had grown by a massive 75% in 2017, compared to 2016, while arrivals from Russia grew 52%. “Yes, this was off a low base for these countries, but interestingly enough, tourists from both Brazil and Russia have Visa-free travel to South Africa. This highlights the fact that reducing Visa regulations, contributes to higher tourist numbers. I am hugely excited by the move to ease Visa regulations with China and India. The strict Visa rules contributed to China showing a decline in tourist arrivals to South Africa in 2017, while Indian arrivals stagnated,” he said. According to latest StatsSA figures for May 2018, compared to May 2017, Indian tourist arrivals to South Africa was down 12%, while China was up by 5%. Tourist arrivals from Brazil for the same period, grew by 9%. Hanekom said while the details of the agreement on new Visa rules between China and South Africa would now need to be ironed out, one of the options being considered was a “multiple entry Visa” that would be valid for five years and offer tourists up to 90 days in the country. He said it was one of a number of measures aimed at making South Africa more tourist and business friendly. Meanwhile, Hanekom also stressed the need for better airline connectivity between BRICS nations. Hanekom lamented the fact that South Africa no longer had a single direct flight to India, and said there was room for more airline connectivity with China. He also reiterated his commitment to the tourism industry to address the sticky issue of unabridged birth certificates with Home Affairs Minister, Malusi Gigaba, saying he hope to have a resolution soon. 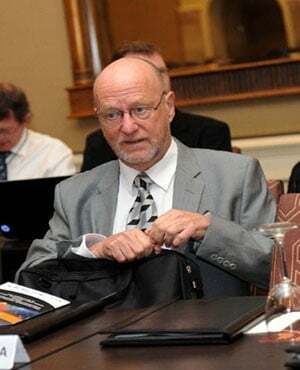 Speaking to Traveller24 on the plan to establish a “BRICS Tourism Track”, Hanekom said the idea was for the five BRICS countries to work together to develop the tourism industry within the bloc. This included knowledge sharing, tourism promotion, industry skills development and exchange programmes that included language training. He said South Africa had already sent 20 young people from the tourism sector to China last year to learn Mandarin and they were now fluently speaking the language at tourism attractions such as Robben Island and the Maropeng Cradle of Humankind UN World Heritage sites.